Hi, I have a descent collection of films of the film noir era. I recieved a book for Christmas that I love. I have some other books and magazines, anything like this you would suggest. I highly recommend "The Art of Noir: The Movie Posters and Graphics from the Classic Era of Film Noir" by Eddie Muller. 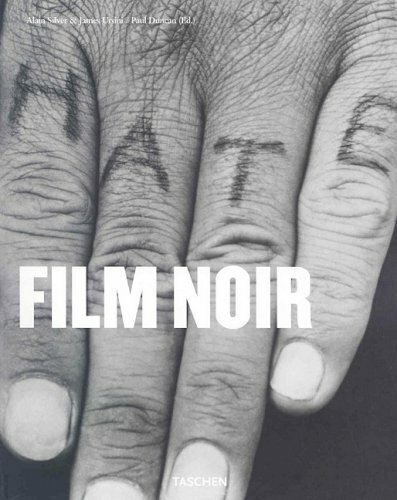 I don't have your Taschen Film Noir book, but they put out some beautiful books. Next year they're releasing The Stanley Kubrick Archives which should be amazing. Last edited by William Fuld; 12-30-04 at 08:16 PM. Eddie's a very cool guy and his book is a lot of fun. Check it out. Well, though not books on the FILM portion, I would read anything by Chandler who's novel's and short pulp stories spawned off a lot of Film Noir (Big Sleep, Double Indemity and Murder My Sweet come to mind). id highly recommend Dark City. its a fun and easy read. Double Indemnity is a Cain novel, if I recall correctly, Chandler just assisted with the screenplay. Pretty cool how a great film-noir writer adapts a novel of another great film noir writer, eh? And besides these two, Dashell Hammett is also great. If you're interested in stills, then "The Noir Style" by Alain Silver and James Ursini is a must-have. It has a ton of great stills, with accompanying text providing insight into each of them. It's pricey ($50), but, if you search long enough, you can probably get a good price for it at half.com (where I got mine) or Ebay. "Hard Boiled: Great Lines From Classic Noir Films" be Peggy Thompson and Saeko Usukawa also features a lot of stills and poster reproductions. I believe it's out of print. It took a long time for me to find. (Again, try half.com.) 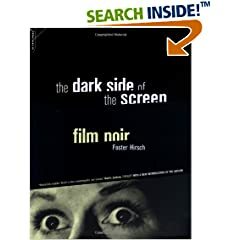 If you can't find it, "The Little Black and White Book of Film Noir" by the same authors features most of the same quotations, but doesn't have any of the pictures, since it's only a pocket-sized book. Here's my recommended reading list from "The Complete List of Film Noir on DVD...." thread. Mike Keaney's "Film Noir Guide: 745 Films of the Classic Era, 1940-1959" is supposed to be very good. It's supposed to be similar to the above-mentioned "An Encyclopedic Reference To The American Style", but has a lot more entries. Unfortunately, it's $75, and I've never been able to justify spending that much on it. Then there are some film books not fully dedicated to noir that have some great information. "The Bad and the Beautiful: Hollywood in the Fifties" by Sam Kashner and Jennifer MacNair has interesting stuff od "Night of the Hunter" and "Sunset Boulevard". Plus it has a whole chapter on the greatest movie ever made, "Sweet Smell of Success". "Painting With Light" by John Alton, one of the greatest cinematographers in film history and responsible for the look of many classic films of the noir movement may only be of interest to obsessives like myself, but it's well worth picking it up, if you can find it. Paul Schrader's 1972 "Notes on Film Noir" essay is still the most interesting study of the movement IMO. It's included in one of the Film Noir Reader collections (I believe the first one). I agree. And it is, indeed, in the first volume of "Film Noir Reader". isnt this included in The Killers Criterion? anybody read the dark side of the screen by foster hirsch? Yes, I've read this. I really enjoyed it too.